Sweet Cheeks Adventures: Celebrate Fall on Nickelodeon DVD! 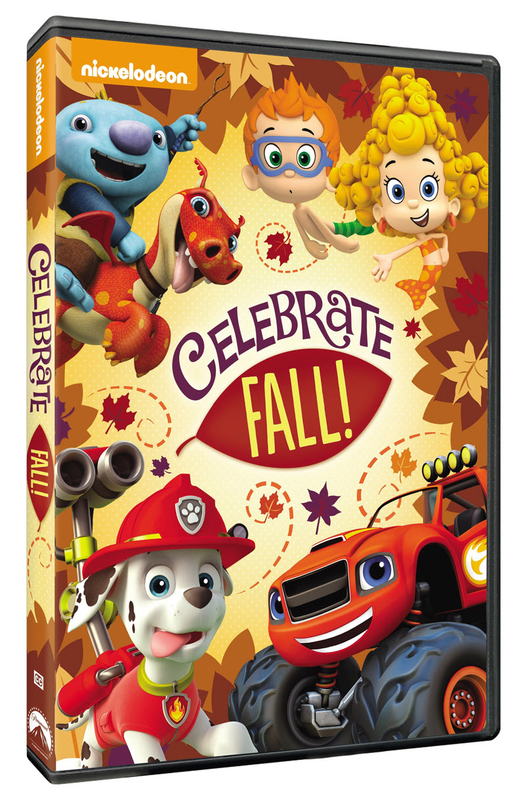 Celebrate Fall on Nickelodeon DVD! Nickelodeon has put together a collection of episodes from Cooper's favorite shows to Celebrate Fall! Since moving to the Sunshine State, seasons don't seem to be present. Coming from a state where the seasons are very prevalent, the lack of seasons in my life has somehow brought on a sadness. The excitement I felt when I opened up this disk was probably a little more than I should have been feeling. I'm not going to judge myself though... Feel free to do so though. The episode selection is perfect on this disk! My personal favorite is Team Umizoomi: The Ghost Family Costume Party! It had both kids up and dancing with tons of giggles! Even better than just telling you about this DVD that you can pick up at your local store.... I have a giveaway!!! We love Nickelodeon DVD Giveaways around here, so enter, enter and then enter again! Tons of multi-day entries available! Dates: Starts August 19, 2015 9:00 am EST. Winner will be chosen September 2, 2015 11:59 pm EST. Disclosure: Sweet Cheeks Adventures teamed up with Click-Communications for this giveaway. Other participating bloggers are not responsible for choosing the winner or shipment of product. They have not receive any compensation for this post. This giveaway is in no way associated with Facebook, Twitter, or Pinterest. The winner will be chose at random by the Giveaway Tool and emailed. The winner must claim the prize within 48 hours or they risk forfeiting the prize. I love the color changes! I love the cooler weather, wearing sweaters! I don't think my grandchildren have seen this one yet, will have to look around for this.